I'd been saving the potatoes recently harvested from our garden (yes, potatoes in February) for the arrival of some fresh eggs in our CSA box. Poaching works best with the freshest possible eggs, before the egg structure begins to deteriorate. This egg could not have been more than a couple of days old. It slid into the simmering water and held its shape in textbook fashion, then perched atop the previously boiled potato pieces. Season with a little salt, a little pepper, and a generous grating of Parmesan cheese. After nibbing around the edges, the moment came to break the yolk. Deep, orange deliciousness oozes out and spreads among the tatties. But the potatoes resist mopping up the yolk. After examining this scene for a moment, it occurs to me that my spuds need to be smashed. My fork does the job. 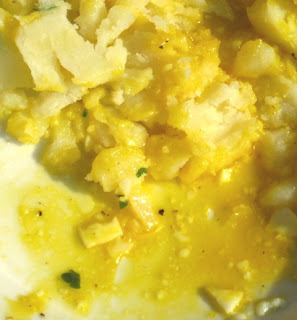 Now I have a nice chunky mash of potato and yolk. 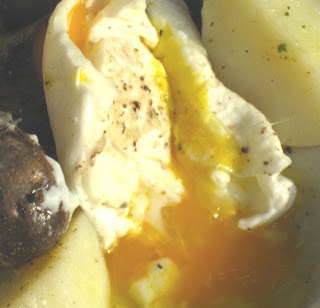 Eggs and potatoes are wonderful things, and work quite well together. Some people thrill over a stack of seed catalogues. Not me. It's much too much, more than my poor brain can handle. That may be because I'm never satisfied with just one of anything. If one variety of tomato sounds goods, three or four sounds much better. Last year I had at least 16 varieties of lettuce, a dozen different carrots and almost as many radishes. Some people fantasize over a full-color page of radish photos--Cherry Belle, Chinese Rose Winter, Crimson Giant, French Breakfast, Plum Purple, etc. I actually buy them all. I thought it would be a good idea to attract butterflies to the garden. I scoured the literature for constructing the perfect butterfly garden and bought a truckload of every conceivable flower seed. Naturally, I have nowhere to plant all these seeds. But they sure are...um...interesting to look at. With so many seeds, storage is an issue. I keep them all in a trash bag stashed away in a crisper drawer in the refrigerator. My wife says, if anything really bad happens, first thing we do is grab the bag of seeds. At least we'll have a jump start into the next life. This year, as usual, I was inundated by catalogues from all the seed companies. But I averted my eyes from most. Although it's fun to think about cloning myself two or three times and owning a farm where I could plant every conceivable variety of every conceivable edible, I force myself to face up to reality and the limited size of my garden here in the District of Columbia. I've decided that two seed companies really constitute more than enough. One is Fedco, simply because the quirky, old-timey catalogue is so much fun. (I find their system of actually ordering seeds a bit Byzantine.) 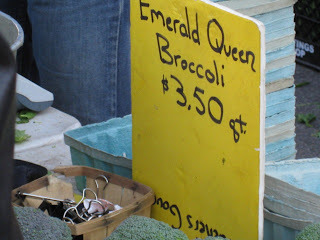 Fedco also carries some of the cold-hardy greens bred by our farmer friend Brett. The second seed company I like dealing with is Southern Exposure Seed Exchange. Southern Exposure looks to me like a very agreeable congregation of hippies who like nothing better than getting their hands dirty and running seeds through their fingers at their home base outside Charlottesville, Virginia. They have a wide range of seeds and, more importantly, are oriented t oward our particular area here in the Mid-Atlantic and our specific growing conditions. In the front of their catalogue is a calendar for planting a long list of vegetables. The calendar gives dates for the mountain region, the plains and the coast. That's some very good information to have. I am just starting my effort to scale back. I still have that huge trash bag full of seeds. What I really need is an accountant and a spreadsheet. My problem in the past has been that whenever I wanted to plant something, I had to search through the whole bag. Seed packets flew in every direction. Putting it all back together again was like a game of 52-pickup. So this year I decided to divide things into planting seasons--cold season seeds and hot season seeds. 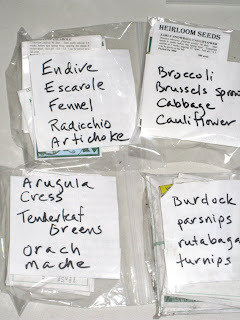 It took me several hours to sort through the cold season seeds and work up a list with planting dates. Now I'm working on the hot season plants. 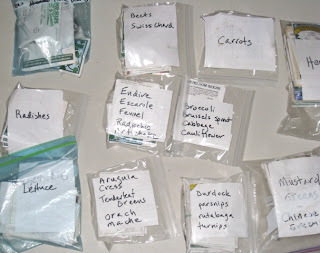 As you can see from these grainy photos, the seeds have been grouped in Ziploc bags with handwritten labels indicating what's inside. The list with planting dates I've worked up is a true marvel. Suddenly, just scanning the list, I can see where I am, planting-wise, on the calendar. And something quite startling emerges: It's time to plant! Actually, the leftovers from a recent cholent, our favorite Jewish pot roast. 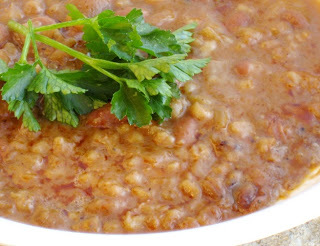 A pot of cholent makes a lot of beans and barley, infused with all the wonderful beef flavors. Not exactly heart-healthy, but unctuous, earthy and very satisfying. I could easily see a poached egg nested in there in place of the parsley. Calories: don't want to think about it, but a great way to start a cold February morning. Who makes their own butter anymore? Hardly anyone, and that may be because there was a time when the only way you could get butter was to sit in front of a churn and pound away at it until your arms were numb. Yet making your own butter is extremely satisfying and connects us deeply with our most basic ingredients. Watching the alchemy of cream transformed is like being present at the creation. 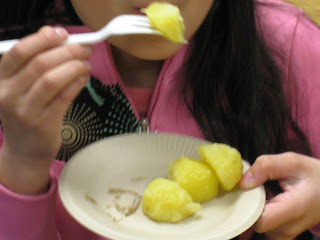 And that's a miracle of kitchen science that I wanted the kids in my "food appreciation" classes to witness first-hand. How does cream turn into butter? Heavy cream typically contains somewhere between 36 percent and 44 percent fat. When it is churned, the fat globules are damaged and the liquid portion of the fat "flows together to make a continuous mass," in the words of Harold McGee. The mass grows as the churning continues, and at a certain point, the water portion of the cream drains off. This is what we have come to call "buttermilk." "Cultured" butter, found more commonly in Europe, is made by fermenting the cream somewhat before churning it. Making your own butter isn't hard. Perhaps you walked away from some cream in a mixer too long and came back to find butter at the bottom of your bowl. Happens to the best of cooks. You can also make it more deliberately, either with a mixer or by hand with a whisk. It takes a lot of whisking, but it creates a true intimacy between you and the cream. And that's the experience I wanted my kids to have. We used a heavy cream that had been pasturized but not "ultra-pasteurized." The kids were amazed--and a bit repulsed--to see me digging solid clots of it out of the container after I'd drained the liquid. As far as I'm concerned, that's the sign of an excellent cream. After I'd whipped it into soft peaks, we passed the bo wl around and each kid took a turn. And if it wasn't butter by the time we reached the end of the line, we started again. There's a certain point when the cream passes the whipped stage and starts to look like slush. Then it begins to form pebbles. And then, as if by magic, it is actually butter. At this point it will begin to exude a white liquid. Drain it off through a strainer. Strangely, if you continue beating the butter, more liquid appears. We collected nearly a cup from one pint of cream. 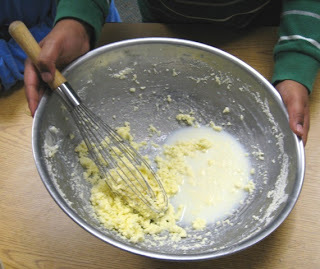 When the butter is all balled up inside the whisk, stop, remove it and begin to fold and shape the butter in the bowl with a wooden spatula. The butter will resist and want to break into pieces at first. But if you keep working it, pushing it together, folding it over onto itself, eventually it will become a smooth and consistent mass, ready to be shaped into a small brick or rolled into a log. The kids were anxious to taste it. I passed around the spatula so they could all take a sam ple. "It needs salt!" several of them noted. I explained that salt is not a necessary ingredient in butter. But in olden days, it was added to keep the butter from spoiling. We've simply aquired a taste for it. But in baking, unsalted butter is preferred. Meanwhile, we had peeled some potatoes and had them boiling in a pot. We drained them off, tossed them with some of our hand-made butter and seasoned with salt. Never did a spud taste so good. I don't know that I have ever designed a trip to the grocery with the idea of making a beef stock. This seems to be one of those things that happens serendipitously around the kitchen, as when you make beef Bourgignone for a crowd and end up with a couple of pounds of trimmings from two large chuck roasts. The trimmings went into a storage bag and sat in the refrigerator while I planned my next move. Finally, inspiration struck, and I was off to Whole Foods for beef bones, a big slice of shank and enough aromatics to fill my stock pot. A classic meat stock calls for veal bones, but you know what? I didn't have any veal bones. Fortunately, my reference in this venture, La Varenne Pratique, includes an all-beef stock option. You will need to get a couple of sheet pans dirty. We have several of the commercial variety that just fit in our oven. On one sheet pan, spread out your meat trimmings. Don't worry about any fat that may be on the meat. It will render in the oven. On another sheet pan, distribute 3 pounds beef soup bones or, as in my case, marrow bones, plus a 1-pound slice of beef shank. Place the sheet pans in a 425-degree oven and bake until browned. Turn all the meat pieces and bones and return to the oven to brown some more. The browned meat and bones can go directly into your stock pot. Drain the fat off your sheet pans. On one of the sheet pans, place two onions, quartered, with the skins on, and four medium carrots, quartered. Place these in the oven until the vegetables begin to brown or even char a little. Now they can go into the stock pot as well. Ladle some water onto the two sheet pans and scrape up all the brown bits. This may take a few minutes, but eventually your water will look just like beef stock and the sheet pan with be almost clean. Pour this into the stock pot. Now to the pot add 2 medium leeks, trimmed of the dark green parts, cleaned and quartered. (To clean leeks, I slice them in half lengthwise from a point near the root end so that the two lengths are still held together and run them under cold water to remove any sand and grit.) Also add several sprigs fresh thyme, a fistful of parsley sprigs, two bay leaves, a dozen black peppercorn and 2 cloves garlic, crushed but unpeeled. Cover everything with cold water to a depth of one or two inches. Over everything place a heavy object such as a ceramic plate to hold the vegetables under the liquid. I use one of those folding, stainless steamer baskets, inverted over the vegetables. Bring the pot to a boil, then reduce heat to a simmer, so that bubbles occasionally break the surface. Be careful not to let the pot boil too fast: boiling results in a cloudy stock. You may need to skim the surface occasionally. Let the pot simmer for a good four hours, then remove it from the heat. Once the stock has cooled enough to handle, you can use a slotted spoon to remove as much of the solids from the pot as possible. Strain the liquid at least twice through a fine-meshed strainer to remove any particles. Refrigerate the stock overnight. The fat will rise to the surface and form a crust that is easily removed with a slotted spoon. 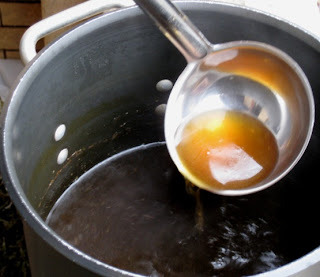 You may want to strain the stock again at this point to remove small particles of fat. Allow the stock to rest. Any remaining fat can be removed by carefully laying a paper towel on the surface to soak it up. Taste your stock. Most likely, it will be so full of flavor you'll want to eat it on the spot. Although I was tempted to plunge my entire face into our stock--it was that good--I've managed some self control. The buzz around the kitchen is that we will be turning this into French onion soup. Stay tuned. All winter I've been digging periodically in our potato bed and coming away with spuds wonderfully preserved underground. There was still one small area untouched and I wondered if it could still yield edible potatoes. Was this possible? Finally, the rains stopped long enough for a look-see. 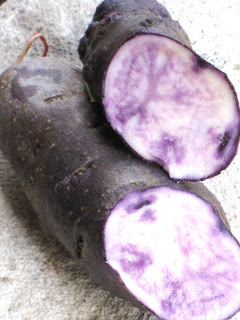 I plunged my forked spade into the soil and...out came two big, purple potatoes. There were, in fact, a few others going soft. I tossed those in the compost pile. Still, I found it astounding that even now there were a couple of beauties waiting to be unearthed, nearly a year after they were first planted. The concept of year-old potatoes is something new for me, but I can only speculate that leaving them in the ground is akin to storing them in a cold root cellar. Turns out burying vegetables in place is nothing new. There's a whole chapter on preserving vegetables underground in a new book I recently purchased, Preserving Food Without Freezing or Canning: Traditional Techniques Using Salt, Oil, Sugar, Alcohol, Vinegar, Drying, Cold Storage, and Lactic Fermentation. The book is translated from the original French work compiled by gardeners associated with the Centre Terre Vivante (The Center for Living Soil), an ecological research and education center in Southeastern France. Eliot Coleman, the esteemed organic gardener and author, had a hand in bringing the book to the U.S. and writes one of the book's forwards. Another foreward is written by Deborah Madison, author of The Greens Cookbook. Being a big fan of fermenting vegetables, I was curious to see what this was all about. The long title might as well be the table of contents. It spells out most of the chapters. Since I had potatoes still in the ground, I was most curious to see what traditional French methods had to say about that. "Some vegetables may remain in the ground all winter," the book advises, " but measures must be taken to protect them, particularly from frost and excess moisture." There's a whole list of vegetables that theoretically keep underground: Brussels sprouts and curly kale, cabbage and cauliflower, carrots, chicory and escarole, endive, Jerusalem artichoke, mache, leek, parsnip, radish, salsify. (Notice, there's no mention of potatoes.) The book has illustrations for "trenching in" cabbage and building various kinds of underground silos. It reminds me of the lessons we learned in grade school about how American Indians preserved their food. Another chapter discusses root cellars, preserving foods in buckets, in barrels, in sand, in straw, in newspaper. I find this not just fun, but practical. We have a lot of gardening space in our yard. One of our issues has been that we can't eat all of the food we grow. Or, maybe we can, if we learn better ways of keeping it. What never ceases to amaze is how our vegetable garden here in the District of Columbia, just a mile from the White House, continues to connect us with the soil, with the seasons, with ancient traditions practiced by food growers around the world. Growing our own food has turned into a great journey of discovery. Or should I say, rediscovery. 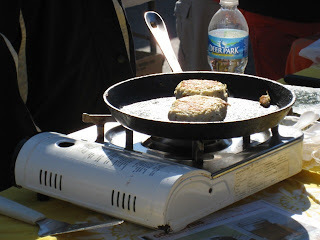 If it's Sunday, it must be time for crab cakes at the Dupont Circle Farmers Market here in the District of Columbia. Farmers markets aren't just for produce anymore. You can walk around nibbling to your heart's content. Cookie, anyone? 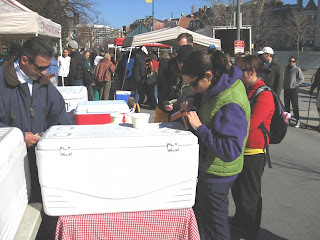 In years past, I would brave the cold to find a handful of vendors at the Dupont Circle market and even fewer customers. Something has definitely happened. These days, no matter the temperature, no matter if a viscious wind is trying to take a nip out of your ears, the market is packed. 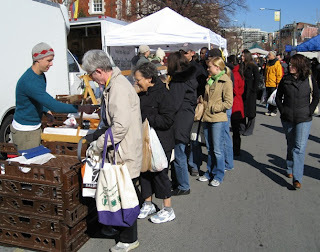 Here's the line in front of one of the vegetable vendors. The problem isn't a lack of vendors any more. It's waiting in line to buy your groceries. 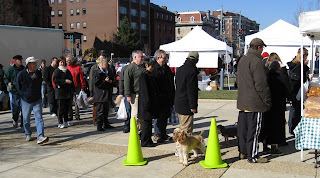 And some of the vendors are especially popular. Here's the line of people waiting to buy fresh yogurt. And here's the line of people waiting to purchase bread and pastries. There are also more "value-added" products than ever, it seems. 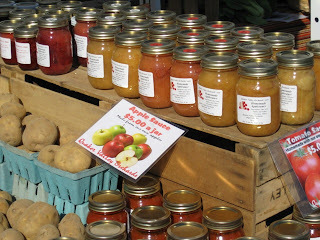 Here's a whole variety of apple sauces and preserves. Five dollars buys you a quart jar. 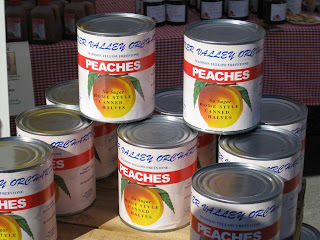 One farmer was even selling canned peaches. Come to think of it, canned peaches are really good, if memory serves. What a genius idea, like a blast from the past. One of the weekly displays is the goat cheese lineup offered for tasting. 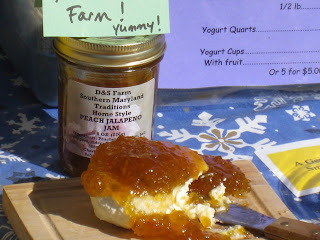 Here's one slathered with peach-jalapeno jam. 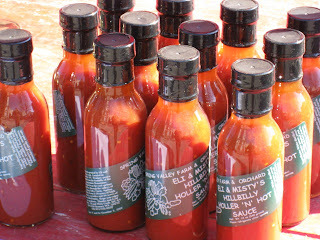 Another farmer fancies himself an expert on hot sauce. 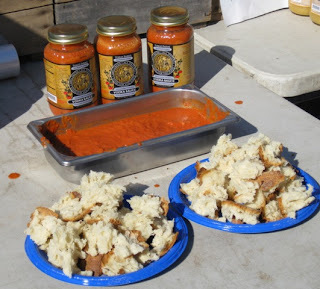 This vodka sauce at another stand was awfully good. Big plates of bread were set out for dipping. 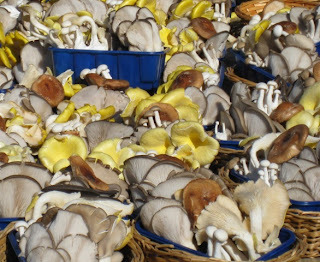 You can always count on the mushroom lady to put out a great display. This reminds me that I must arrange a visit. I'd like to see how she grows all these beautiful fungi. Over the summer I paid $5 for a head of broccoli. How does $3.50 for a quart compare? 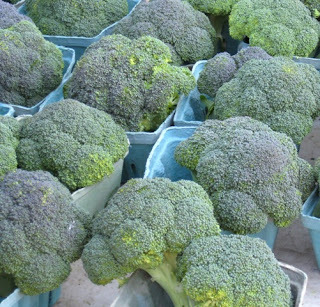 It is very nice looking broccoli, but a little rich for me. By now everyone is aware that an undercover video of downer cows being dragged to slaughter in Southern California has led to the largest recall of beef in the nation's history--143 million pounds. Almost as shocking as the images of workers using forklifts, electric prods and pressurized water jets to motivate incapacitated cows was the news that much of the beef was intended for the school lunch program. It's just now becoming clear how much beef was being directed to children, and that much of it has already been eaten. News reports on local public radio here in the District of Columbia environs revealed that school districts were sending letters home to parents informing them that the recalled beef in question had already been served in school lunches. To date, no health problems among the affected children had surfaced, according to these reports. The U.S. Department of Agriculture breaks down the distribution of the recalled beef thusly: 50.3 million lbs were distributed as part of the national school lunch program; of that, 19.6 million were consumed; 15.2 million are identified and on hold; and 15.5million still being traced. Marion Nestle at her What to Eat blog does the math at asks, What happened to the other 93 million pounds of beef? The American Meat Institute calls the recall much ado about very little, and rejects any implication that tighter regulation of the beef industry is needed. "Claims that we are not regulated heavily enough or that inspection oversight is lacking are simply outrageous," Mark Dopp, the AMI's senior vice president of regulatory affairs, said in a statement. "We benefit from the oversight we receive. We will not let a video from what appears to have been a tragic anomaly stand as the poster child for our industry. " While we're getting downer beef out of school lunches, we might also look at ways to eliminate some of the food waste. Alfred University outside Corning, NY, is doing just that by doing away with food trays in school dining rooms. It's commonly accepted that about 30 percent of all food in this country is wasted, sent to the landfill. Schools are now learning that by not offering food trays, students take less food and consequently put less in the trash. An environmental student group at Alfred U. looked at what other schools had done along these lines and convinced the school to give it a try. Students returned from holiday break this year to find no more trays in the dining halls. Two separate tests on the Alfred U. campus show that by not offering food trays, food and beverage waste was reduced by 30 percent, and sometimes up to 50 percent. Students still have the "all-you-can-eat" option, and additional silverware stations have been set up in the dining halls to accomodate the tray-less protocol. Is junk food better if it's made with local ingredients? Some manufacturers apparently expect to cash in in on the locavore mania. The British snack maker Walkers now is touting potato chips made exclusively with locally grown potatoes. To boost sales, it's come up with television ads showing a popular soccer player dancing in a potato field with British potato farmers. "The British climate, with its wet weather, is ideal for growing potatoes," says a company spokesman. "The move to 100 per cent British-sourced potatoes is helping to reduce Walkers' food miles and impact on the environment." We're waiting for the ads promoting locally grown high fructose corn syrup. The Mulch blog does such interesting things with interactive maps. Our favorite was the one that locates the biggest recipients of U.S. crop subsidies, many of them in places like New York City and Key West. The latest pinpoints more than 350 editorials calling for reform in the Farm Bill. These are definitely not all in New York City and Key West. Finally, we recently posted a recipe for lobster stew on grounds that lobster is a fairly sustainable seafood option, as opposed to, say, bluefin tuna or red snapper. But here comes news that the lobster catch in Maine last year suffered a 23 percent decline, and there are worries that American's favorite crustacean may be overfished. Some years ago, while still reporting for the Washington Post, I wrote about possible threats to the Chesapeake Bay blue crab and was nearly mobbed by angry watermen. Well, two decades later and the blue crab is at historic lows in the Chesapeake Bay. Sometimes it pays to listen to the scientists. Maine's recent lobster catch was the worst since 1997. And the federal government wants the lobster industry to do more to prevent right whales from getting caught in lobster gear. In other words, hold the butter. Could be time for a serious reality check where our lobster is concerned. "Choucroute" is simply French for sauerkraut. 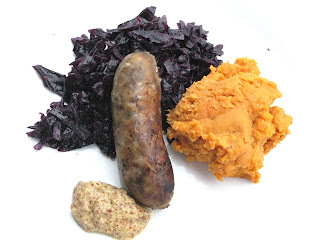 But it has also come to mean a dish marrying sauerkraut with some of our favorite pork products, such as garlic sausage, bacon, pig's knuckle or hock. I've been looking forward to having friends over to sample some of my homemade kraut and Kielbasa sausages. But this is a compromised "Dark Days" meal, inasmuch as I am boycotting the local pork shoulder at $6.95 a pound in favor of the Niman Ranch pork sold at the local Whole Foods for half the price. Niman Ranch pork is a cooperative arrangement of pig farmers east of the Rockies who have foresworn the confinement method of raising bland pigs crammed together indoors, the kind of pork engaged in by Smithfield, Hormel and the other industrial producers. Niman Ranch pigs typically are raised on small family farms where they get to root around outside and act more like real pigs. 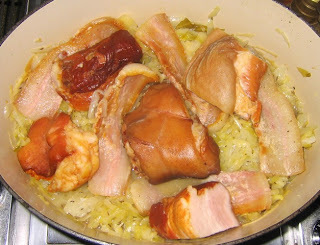 I have yet to find a local source for the kind of processed pork products I like to include in my choucroute, such as smoked hock, salt pork, bacon ends. I see this as a real issue with local foods. If local pork is not processed into these traditional products, we are in danger of losing an important food legacy, no? Or perhaps I simply have not looked hard enough. I have tried bacon made by a local pig farmer, sold at one of the nearby farmers markets, and it was really bad. We continue to buy our bacon from Benton's out of Madinsonville, Tennessee. The sauerkraut fermenting in my ceramic crock is about six months old. To turn it into a choucroute, I first cut an onion into thin slices lengthwise and sautee it at the bottom of a heavy Dutch oven in extra-virgin olive oil (bacon grease or lard might be more authentic, but I'm trying to be a wee bit healthier). Peel a tart apple such as Granny Smith and grate it into the pot. Stir in about 1 teaspoon coarse salt, then about two pounds sauerkraut, preferably homemade. Stir evertying together, add 1 teaspoon carraway seeds and a dozen juniper berries, crushed. Then pour in about 1/2 cup white wine. Nestle a smoked ham hock (again, from Whole Foods) or two in the kraut. Bring to a boil, then cover, reduce heat and simmer for an hour. White the kraut is cooking, you can brown your sausages. I like to use fresh (not smoked) Kielbasa and Weisswurst. In the past, I've added bacon ends, but the only source I know of comes from industrial pork. No more of that. This time I bought some salt pork at Whole Foods. It's not local, but for this mongrelized choucroute, it will have to do. Cut the salt pork into thick slices and brown those as well. About a half-hour before serving, place the browned sausages and salt pork on top of the sauerkraut and continue cooking another half-hour. Arrange everything decoratively on a warm serving platter and garnish with chopped parsley. I served this with parsleyed boiled potatoes and a selection of mustards. As preamble to the choucroute, I had set out a mushroom frittata, cut into small rounds, as well as some goat cheeses accompanied by our homemade green tomato-apple chutney and pickled green tomatoes from the garden. Spread goat cheese on a cracker, top with chutney, wash it down with one of the lovely Riesling wines furnished by my oenophile brother-in-law, Tom. We finished our meal with a salad made of greens from our farmer friend Brett, tossed with clementines and a chili-orange vinaigrette. Follow with chocolate creme brulee and coffee. I have this radical idea that we should just stop eating fish out of the oceans. Bluefin tuna have become the modern equivalent of the American bison: we've fished them almost to extinction. Europeans have so decimated the fish stocks off West Africa that the locals are abandoning their homeland for lack of a catch. The once-abundant coho salmon no longer return to spawn in their former numbers on our own west coast. And the list goes on. I follow the recommendations of the Monterey Bay Aquarium's "Seafood Watch" program, which is one of several of its kind that list which seafoods they think are sustainable and which to avoid. These days, I wistfully pass the seafood counter at the local Whole Foods, admiring the monkfish, the red snapper, the Chilean seabass--all off limits to me now. That doesn't mean you can't eat seafood at all. Look lower down the food chain, especially to shellfish, which grow and reproduce much more quickly--and in greater profusion--than large predator fish. A classic Creole gumbo is a perfect treatment. It has just the kind of big flavors I like, and you can add almost anything to it. For this particular gumbo, I used shrimp, scallops, catfish and garlic sausage. Gumbo starts with roux, which may be familiar to you as the basis of a Bechamel sauce. But the roux for gumbo is cooked longer. For a seafood gumbo, some say the darker the roux the better, until it is almost black. I've explained previously why a long-cooked roux doesn't thicken much. The molecules in the flour are re-arranged, so the roux is more for flavor and appearance. For six persons, coat the bottom of a heavy pot or Dutch oven with canola oil and over high heat brown 1/2-pound Kielbasa sausage, cut into slices on an angle. Remove the sausage and lightly brown 1/2-pound sea scallops, which may need to be cut in half or into quarters if they are very large. Remove the scallops, lower the heat to moderately-low and add 1/2 cup canola oil. Stir in 1/2 cup all-purpose flour. Cook, stirring frequently, until the roux is dark brown. Do not let it burn. This could take a half-hour or more. To the cooked roux add 1 small onion, peeled and diced small, 1 green bell pepper, seeded and diced small, 2 stalks celery, cleaned and diced small, and 3 garlic cloves, finely chopped. Cook until the onions begin to soften, about 10 minutes. Add a handful chopped parsley, 1/2 teaspoon dried thyme, 1 bay leaf, 1/2 teaspoons salt and a generous pinch black pepper to the pot, as well as the browned sausage. Pour in 4 cups stocks. This can be made with shells from your shrimp or from fish racks (skeletons) purchased from the fish monger, or use a store-bought seafood stock. I used a home-made chicken stock that was rich with flavor. Bring to a boil, then reduce heat and cook for about 20 minutes, or until the gumbo is aromatic and flavorful. Just before serving, add 1/2-pound deveined jumbo shrimp, the scallops and 1/2-pound catfish fillet, cut into pieces, and cook just until the seafood is cooked through. Adjust seasonings, ladle gumbo over rice, such as a brown Basmati rice, and serve hot, with a flourish, perhaps garnished with more chopped parsley. Note: The Monterey Bay Aquarium's "Seafood Watch" program advises to avoid imported shrimp and select wild-caught or farmed shrimp from the U.S. or Canada, with wild-caught shrimp from Oregon and British Columbia listed as the "best" choice. Avoid wild-caught sea scallops from the U.S. Mid-Atlantic and any kind of imitation scallop. Choose either wild-caught sea scallops from the Northeast or farmed bay scallops. Farmed U.S. channel catfish are the best choice, but other kinds of imported farmed catfish can be substituted. 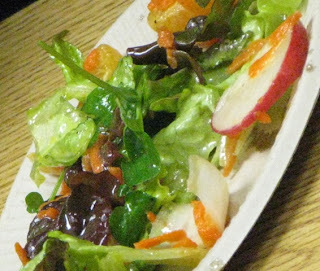 Making salad may seem like the simplest thing, but I thought it was a worthy subject for my "food appreciation" classes. When you think about it, there are some important skills and health considerations involved in the handling of tender greens. All produce should be washed before eating. 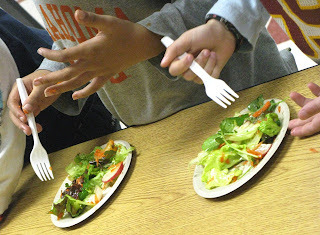 Even some of the kids in my classes had heard of instances of e. coli poisoning from salad. At home, I like to fill my kitchen sink with cold water and let my greens soak. I break head lettuces apart so that individual leaves all get a good wash. Agitate the greens with your hands. Any sand or grit will sink to the bottom. It's suprising what you find sometimes when you drain the sink. For classroom purposes, I filled a big bowl of water and soaked our lettuces in that. Meanwhile, I had each of the kids peel a clementine and practice separating the fruit into individual sections and removing all the l ittle white fibers from the fruit. Who wants to find a hairy piece of fruit in their salad? The idea is to show the kids in a hands-on way the importance of visual appeal in food, taking care to make things look good. I've been introducing the kids slowly to working with kitchen knives. Some felt confident enough to slice radishes. It's important for them to learn how to create a safe, stable cutting environment. That means putting a cloth of some sort under the cutting board so that it doesn't slide around, and trimming certain vegetables so they aren't rolling across the cutting board. Cut a radish (or onion, for instance) in half first, so that it lays flat. Then it can be sliced safely. Some kids were slicing. Others were peeling and grating carrots. We also cut a Belgian endive into rings. 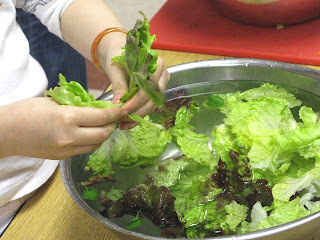 After soaking and cleaning watercress and two types of lettuce, the kids took turns tearing the lettuce into bite-size pieces and running the greens through a salad spinner. Kids love turning the spinner. Even more, they love it when you remove the top while the basket is spinning madly inside. A piece of lettuce goes flying and the class dissolves in a fit of laughter. And just what is all that spinning about? Can you say centrifugal force? Here's where making salad turns into a science lesson. There's also science in making a dressing. What happens when you mix oil and vinegar? Nothing much. The oil just sits on top of the vinegar. We have to create an emulsion, wherein the oil and vinegar are bound together. Mustard helps as a binder. We place a heaping teaspoon at the bottom of a large bowl, then add a teaspoon of honey. Add about 1/4 teaspoon salt, a generous pinch of ground pepper and 2 tablespoons of white wine vinegar. Now this is the important part. 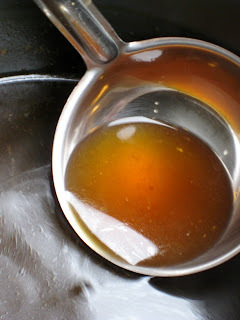 Mix the mustard, honey, salt, pepper and vinegar with the whisk and add just a drop or two of extra-virgin olive oil. Whis k vigorously until the oil is completely distributed. This is the start of the emulsion. Now we whisk in several more tablespoons of olive oil. For a mellow vinaigrette, the proportions usually are three parts olive oil to one part vinegar. 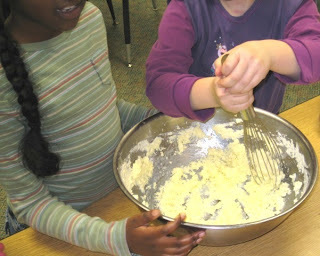 We pass the bowl around the class so that everyone can experience the whisking and see the vinaigrette thicken. Before long, we have a lovely dressing with just the right balance of sweet and sour. The finished salad is practically a work of art, with all the different colors and shapes and flavors. Suddenly, silence: The kids are all busy eating. Chicken parts are WONDERFUL! The cook that served (uncle) Bill's family when he was growing up had a fabulous recipe that we all love. She wouldn't give me the recipe, but her husband, Alex, gave it to me - leaving out a few things that I figured out after trying it. It's a dish for "poor folks", Alex told me, but we all loved it. In soup pot, put gizzards and wing tips with onion and celery tops and peppercorns. Cook until gizzards are soft. (About 1 hour) Save broth, put gizzards aside, toss the wing tips and recycle the veggies. In very large frypan (I use my electric one) heat 4 T oil or butter. Coat wings and necks with flour and fry them, turning them once. Season as you wish. I use Lawrys and garlic powder. Chop 2 large onions and add to pan. You shouldn't need any more oil/butter, as you should have sufficient chicken fat. Turn heat down so onions brown, but do not burn. Add chicken livers (no flour) and cook until they are cooked through. Add gizzards and enough broth to make a slurry gravy. Cover and heat for 15 minutes on very low heat. Add more broth as necessary. Serve over brown rice. Now, Ed, I have a feeling you will never try this, but you're missing a fabulous bet. Even though it is not heart healthy, it is so delicious, you will groan with mad pleasure while eating it. Maybe you can get friends to donate their liver, neck. wings and giblets to you and then come over for dinner. So, readers, how do you fix your giblets? High on my list of personal foibles is my lack of fortitude when it comes to dealing with chicken organs. You know what I'm talking about--the little bag of body parts--neck, heart, gizzard, liver--that comes with the chicken, usually stuffed inside the cavity. Our farmer friend Brett takes great pains to include a Ziploc bag with chicken parts when he sends one of his chickens with our weekly CSA box. I carefully remove the bag, place it in a small bowl and put it in the refrigerator with a promise to myself that I will--this time--find a use for my chicken offal very soon, to make good on all the work that went into harvesting them. Eventually, my wife will complain of an odor eminating from the refrigerator. I pretend to not know what it is, and bury the chicken parts in the trash at the first opportunity when no one is looking. At this point, the guilt has become HUGE. Well, I just hate to waste food and I keep telling myself that I will never collect enough chicken necks to make a stock. By now, if I had saved all those necks, I would have enough a couple times over. So this week after receiving another chicken from Brett, and the bag of organs, I was more determined than ever to make good use of them. 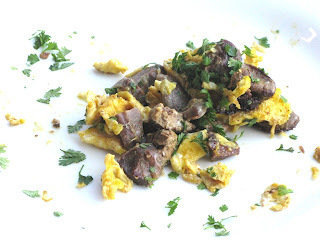 Since I know no one else in the family will have anything to do with chicken offal, I decided to have giblets for breakfast with some of Brett's pastured eggs. Here's what I did: First, place the neck in a freezer bag to finally start your collection. Put the bag in the freezer. 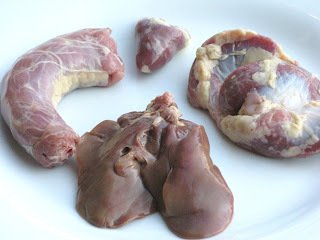 Nex, cut the gizzard and heart into small pieces and sautee them in a hot skillet with extra-virgin olive oil. Season with salt and b lack pepper. When they are cooked through, spoon them onto a plate and set aside. Now cook the liver in the same skillet, either whole or cut into two pieces. Be sure to brown it on all sides. When that is cooked through, remove it to a cutting board and when it is cool enough to handle, cut it into small pieces. Let the skillet cool a bit off the heat, then return it to the burner set to moderately-low and pour two farm-fresh eggs, beaten, into the skillet where the eggs can pick up all the brown bits off the bottom. Scramble the eggs as you normally would, mixing them around with your favorite usensil, and when they're about half-way cooked add the chopped giblets and mix them well with the eggs. Season with salt and pepper as needed. Serve this immediately on a warm plate, perhaps with a piece of toasted, rustic bread. If you have any leftover giblet gravy in the fridge, now would be a good time to use that as well. We had some fresh chervil in our CSA box this week, so I chopped some of that to garnish the eggs. I happen to like strong, gamey flavors, so this is a dish I could easily wake up to on a more regular basis. But my advise is, do this early in the morning before the rest of the house wakes up, so you don't have to listen to all those disapproving voices telling you how much they can't stand chicken giblets. A roasting chicken arrived in our weekly CSA box which happily answers the question, What are we making for our Dark Days Local Challenge meal this week? Concidentally, our friend Marty from California, who we haven't seen in a lifetime, came to visit. Isn't it nice to have a friend who exclaims over a simple roasted chicken, turnips and potatoes? Since we share our CSA box with friends Helen and Jeff, we had half a chicken to split three ways. I used diced carrots and onions and some thyme leaves as a bed for the chicken on a baking sheet and surrounded it with baby turnips, also from the CSA box, and purple potatoes from our garden, tossed with extra-virgin olive oil and salt. Yes, we still have potatoes. Some are still in the ground. These have been languishing in our pantry. Prior to baking the chicken, I had harvested some chard from the garden. The weather has been fluky: heat waves followed by extreme cold. 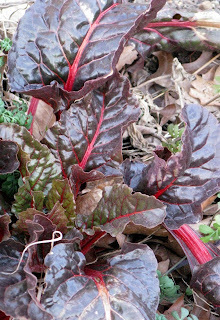 When it's very cold, the chard falls to the ground. When the air warms, the chard springs back to life. I harvested enough--stems and leaves, roughly chopped--to fill my cast-iron skillet, along with some sauteed red onion. Season with salt and orange juice, then braise on the stove top, covered, until the chard stems are tender. 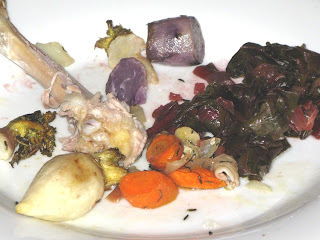 This made a nice plate with a diversity of flavors--a little bite from the turnips, fruitiness from the chard, the smooth mouthfeel of the potatoes and the aromatic carrots and onions. The pastured chicken is a bit chewier than what you get from a store-bought bird, but that just adds to the excitement. The Slow Cook blog is one year old. I trace the beginning to the attack on the World Trade Center. Many of us conducted a personal re-assessment at that time and sought comfort in family. We started a Sunday supper routine, having friends over for leisurely dinners on a regular basis. That was part of our answer to the question, "What's it all about?" Not long afterwards, I quit my job running the service end of a very lucrative catering business here in the District of Columbia. To tell the truth, the only thing I liked about that business was working with waiters. I hated serving rich people and being party to conspicuous consumption on a daily basis. My wife convinced me to take up writing again. Having previously been a reporter for The Washington Post for 12 years--starting not long after Watergate, when Bob Woodward was running the Metro section--I had some writing skills. I sent a proposal to the Post's food section: It was a long take-out on Mexican pozole, a dish I'd been subjecting friends to over a period of months. 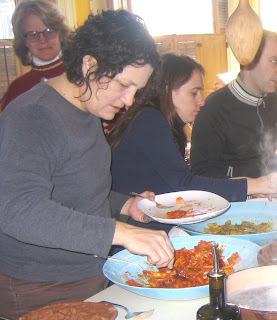 The piece was never published, but it led to a rather prolific food writing relationship. Soon I was turning parts of our yard into a vegetable garden to satisfy my food habit. I was drawn into a food gardening project at my daughter's charter school that involved me building a 1,600-square-foot container garden there. 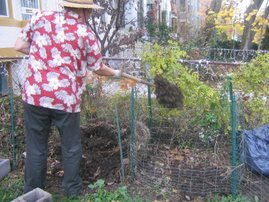 I enrolled in Master Gardeners and in the course of trying to create a city-wide gardening organization met someone who introduced me to blogging. You could say the rest is history, but that would be too simple. I think my life the last few years is as good an example as any of what's been happening around the country. In the course of becoming a food gardener, I was also introduced to the notion that the world might soon be running out of oil. I spent a good many nights tossing and turning, my head spinning with images of civilization crashing. I found myself on a mission of almost frantic discovery, plunging deeper and deeper into this counter-culture of internet voices warning of a world gone haywire. I have to say it was not easy or pleasant concluding that there are serious fissures in the platform on which my cozy lifestyle has been built. But from every angle the information and the trend lines are converging: Our self-indulged lifestyle is killing the planet. Often my head hurts. There's more information than one person can absorb. And for a long time I was angry, angry that things had come to such a pass, angry that I wasn't sure what to do about it, angry that this emerging new world might mean unpleasant changes for my family. It certainly is daunting to get up each morning and consider the enormous public inertia, the tangle of corporate and political interests, that keep the old pollution economy standing. I find it hard to get my head around the sheer magnitude of greed and indifference required to keep this planet-snuffing juggernaut chugging along. What can I possibly do about it? Yet I am inspired, and have been encouraged, by the many voices that are speaking up. I find blogs such as The Ethicurean truly heroic in their daily toil on behalf of righteous causes. So many others also are pulling hard in the right direction. I collect them, I hoard them, I try to read them all. You will find them listed among the many links on this page. These are voices you will not find in the food pages of your local newspaper. And from that I draw some comfort, that while we are not of the mainstream press, collectively we are being heard. We are educating ourselves and providing leadership to others. We are creating a new popular press, even while the corporate media are shrinking. I don't spend a lot of time writing The Slow Cook. How it turned into a daily event I don't know. For some reason I feel compelled to spend and hour or so each morning saying something about how we are feeding ourselves in this corner of the universe. Really, it is not so much a rant as a personal journal. Each of us has something profound to say about how the world is turning in the 21st Century. I'm not sure what the next year will bring. We go about planting and eating, trying not to fuss too much over our food, trying to be a little more local, a little less wasteful. I will endeavor to be more clever and engaging in the way I write about these things. And above all, more brief. It's the middle of February and we've experienced some of the coldest temperatures of the season. The garden should be dead, or at least dormant, right? As I walk around our kitchen garden here in the District of Columbia, the signs of life are everywhere. Some of that is new: the rhubarb we planted last year has begun to send up new leaves. They are bright green, nearly flourescent, and crinkly fresh like a newborn these rhubarb leaves. One wonders what on earth the rhubarb plants are trying to prove, sprouting in the middle of winter. Obviously, this is what makes rhubarb a dish we look forward to in the spring. But much of the greenery I see in the garden now was planted last fall. It has not gone away. Turnips, rutabaga, beets, Swiss chard: all are holding on, even thriving. There are mustard greens as well, and arugula, sorrel and parsley. I would have given them all up as a lost cost months ago, except this morning with the temperature just above freezing I plucked a mustard leaf and it exploded in my mouth with fresh, peppery flavor and a wonderful, icy juiciness. How can this be? Certain plants not only tolerate cold temperatures but have an incredibly strong will to live. I've noticed these plants actively respond to the weather with their own coping mechanisms. When the temperature drops below freezing, the turnips and rutabagas and beets go supine. Their stems droop and the leaves fall to the ground. They will remain that way as long as the freeze continues. But then, as the temperatures climb, the plants reach for the sun and become erect again. The leaves regain their structure and glossiness. They look good as new. I notice that the turnips are swelling. The rutabagas, too, but more slowly. Even the lettuces that I thought had expired some time ago appear to have some life in them yet. And the chard are absolute champs. They keep coming back and coming back, although more slowly. I have already harvested them more than once. I am not alone observing this phenomenon. Each week I look forward to a detailed e-mail from our farmer friend Brett who also provides our winter CSA box. Brett was a pioneer, one of the first in our area, I think, to grow and provide fresh produce throughout the winter. He has spent years breeding winter-hardy arugula and other greens. He seems to love nothing better than suiting up in his Carhartt overalls to pick greens in the depths of winter. Every once in a while we receive a notice like this in one of Brett's e-mails: As indicated in last week’s email, there will be NO farm delivery this week. The crops need time to recover from the bitter cold of 8 days ago, so I am using this as an off week. Notice Brett's use of the term "recover," for when the temperatures have been dropping to 14 degrees overnight, the plants do eventually recover and are harvested--even in January and February--for our CSA box. Brett recently wrote that he is beginning to plant fava beans and peas and carrots for harvest in June. In other words, life for the produce farmer continues straight through the winter. This is no time to turn out the lights. So I am keeping a close eye on our own garden greens. 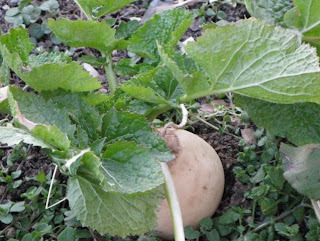 The turnips appear to be ready for another Dark Days meal. Likewise much of the chard has grown large enough for one of our favorite braises. There is plenty of mustard and arugula to add to the salad bowl. Even in February, the garden soldiers on, and life is good. Something I've been doing the last four years is reading stories three times a week to one of the classes at my daughter's charter school. In addition, I incorporate a storybook into my "food appreciation" classes at a private elementary school here in the District of Columbia. All of which means I check out a lot of books at the local library. In fact, I think the librarians experience a certain amount of dread when they see me walk through the door. They never know what kind of strange request I'll be bringing, like, "Got a picture book to go with deviled eggs?" This week the librarian practically leaped out of her chair when I arrived and began pointing madly, madly, madly at something new on the shelf. It was this story called, "Clarabelle: Making Milk and So Much More." Now, I'm not normally looking for explication when I go searching for childrens books. I eschew the kids cooking section. No, I'm on the prowl for literature that fits the theme of the week. But something intrigued me about this "Clarabelle" book. I was taken with the idea that books like this--the ones that explain to children where milk comes from, or how tractors work--are still being written and printed, only in an updated fashion. I was very curious to see what this book had to say about a modern dairy. But maybe I'm too cynical. So I read on. There are lots of close-up photos of Clarabelle. She is a fine, sturdy Holstein cow. But after a while you begin to notice that all of the photos are taken indoors. Apparently Clarabelle is an indoor cow. She never goes outside. "Each year, she gives birth to a calf that weighs about one hundred pounds," the book exclaims. Presumably she has been artificially inseminated to further her production of milk, which "is bottled for drinking or made into cheese, ice cream, yogurt and other dairy products." And this part caught my attention, because, "To make all that milk, Clarabelle eats heaping piles of hay, corn, and soybean meal." Aha! I thought. Clarabelle is just another part of the industrial food apparatus. She doesn't eat grass, the way cows were intended, but a "scientific" diet of silage produced by our monocropping, taxpayer subsidized, eco-polluting corn and soybean complex. Not only that, "Her amazing four-compartment stomach recycles leftover food and fiber products such as brewer's grain, sugar-beet pulp and cottonseed." So basically, Clarabelle is a walking garbage recycler. There is no mention whether Clarabelle is regularly dosed with bovine growth hormone to increase her milk production. I was ready to write this whole Clarabelle story off as a piece of cleverly packaged Big Ag propaganda aimed at children when another interesting factoid emerge: The Norswiss farm is equipped with a manure processor that uses a microbial system to create methane. The methane from this dairy farm produces enough electricity to power 700 homes, and the leftover solids become bedding for the cows. I thought this interesting enough to do a little research and found that Norswiss since 2004 has been engaged in a partnership with the Dairyland Power Cooperative to generate local electricity using cow manure and the latest technology. In addition, the Norswiss owners, Annelies and John Seffrood, have integrated a system of composting to reduce the need for straw bedding and cut down on manure removal, according to an article published by the Central Plains Dairy Association. "They tub grind the straw to reduce particle size to about 2 inches and use an 8-foot tiller to aerate the compost once a day. Switching to a compost system has cut the amount of straw needed for bedding in half, reduced the number of times the barn has to be cleaned from four times a year to once a year and cut the volume of manure and straw that has to be removed from approximately 2,400 tons to 600 tons annually. The compost also costs less to apply as fertilizer than the bed back, and more fertilizer is immediately available to crops, John says. They are currently building a 70 X 210 foot compost barn for fresh cows." I don't understand all of it. But I'm impressed that a modern dairy operation in the nation's heartland is not just about feeding cows government subsidized corn and dosing them with hormones from Monsanto, but also is involved in developing ingenious was to reduce waste and turn manure into electricity. Is that a good thing? Is this the future we want for our agriculture, or do we really want something the looks more like the picture on the yogurt container: cows grazing in grassy meadows, submitting occasionally to a tow-headed milk maid? What I draw from the Mirabelle story is that I just don't know enough about what's happening on our modern farms and I wish I did. I think we should The author of this book, Cris Peterson, herself runs a 700-cow dairy farm in Wisconsin, according to the book's dust jacket, and recently was named National Dairy Woman of the Year by a group that counts Monsanto Dairy among its members. Such as it is, this is the kind of information about farming that's being passed to our kids at school. I would dearly love to see a book about our alternate dairy system, the one where cows wander around in green pasture and produce hormone-free milk. Has anyone written that book? Last week we made deviled eggs in my "food appreciation" classes. As part of that exercise, I wanted the kids to get the feel of an egg--literally. We broke eggs into individual bowls and all the kids had a chance to pick it up with their hands, feel the difference between the yolk and the white, and let the whites slither through their fingers. They loved the touchy-feely component of that lesson and it resulted in a lot of separated eggs. What to do with them? Some kids suggested muffins. There were votes for a cake. Another thought scrambled eggs would be a good use. Well, we had enough eggs for a couple hundred muffins, and many, many cakes. The simplest solution, it seemed to me, was a frittata. So I brought my big, non-stick skillet to class this week along with a variety of components. The class divided into teams, each responsible for one component. There was a broccoli team, responsible for dividing a head of broccoli into small florets. There was a Parmesan team, responsible for grating cheese. There was a roasted red pepper team, responsible for getting the peppers out of a jar and placing them on the frittata in a decorative fashion. Meanwhile, I sauteed some sliced red onion very aggressively on the stove top. Setting that aside, I got the skillet good and hot and showed the kids what happened when I ladled some of our beaten egg mixture into the smoking skillet. Of course it sizzled and bubbled and began to brown aro und the edges. We added more egg, and I demonstrated how to use a heat-proof spatula to lift the cooked egg around the edges and tilt the skillet, so that the egg liquid would find a new place to cook. 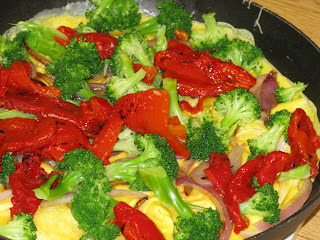 We cooked the broccoli and the kids took turns adding that, the onion, the roasted red pepper and finally the cheese to our frittata. Then under the broiler it went to puff up and brown. "Now, how do I get it out of the pan?" I asked the class. I took bets on my getting the frittata out of the pan and onto a cutting board intact. Of course I won. The frittata slid right out, right on cue. 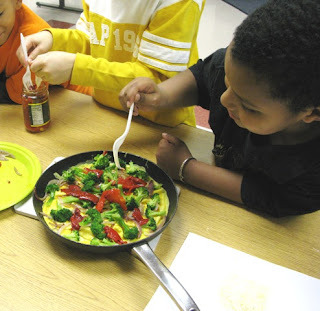 We practiced some simple fractions, slicing the frittata into wedges. Then the kids wolfed it down. Never has an egg--or a broccoli floret--been so popular. 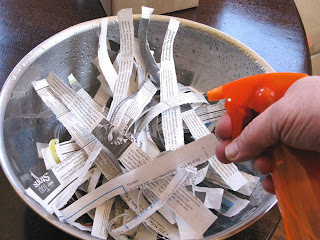 You may be wondering why a man has a bowl full of shredded newspaper and is spritzing it with water. Very well, I'll tell you. This is the bedding for my worms. I have hundreds of them squirming around in a three-story "worm hotel" where the worms turn my kitchen scraps into some of the world's richest compost. Every few days I take a handfull of potato peels and apple cores and carrot ends--all the various stuff that piles up in a busy kitchen--and drop it into my writhing colony of worms. Within a few days, they will have gobbled it up and left behind their "castings"--another way of saying worm poop--which I can then feed to my plants. This being February, there's not a lot of plant feeding going on. But I continue to feed the worms and they continue to make castings. More and more casting till things warm up outside. You could, of course, also use them to feed your house plants. 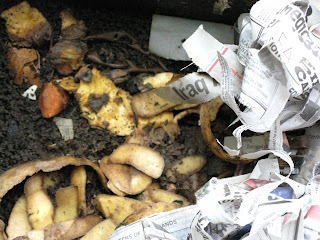 The worms are shy and don't care for light, so it's important to keep them covered with shredded newspaper. Shredding the newspaper is a fine activity for a rainy afternoon. Use a spray bottle to get the paper damp b efore laying a nice thick layer over the worms. Soon enough, they will have eaten the newspaper as well and it will be time to shred some more. It's wonderful how the worms recycle everything this way. And since I am hearing from more and more urbanites who want to compost their food wastes rather than sending them to the landfill, this is one of the things I recommend. It's especially useful for people who live in apartments or don't have space for even a small compost bin. The worms will live very happily--and quietly--in a coat closet. Do they smell? Not at all. Odors in composting come from anaerobic bacteria that survive in moist places without oxygen. As long as there is air for the worms to breath, you won't have a probelm with smelly bacteria. Sometimes there is an issue with fruit flies. But I find you can really keep the fruit flies at bay if you maintain a thick layer of shredded newspaper on top of the worms and kitchen scraps. People sometimes ask where I dig for my worms and I hasten to tell them that these are not ordinary earthworms but a variety commonly called "red wigglers," the kind you would find at a bait shop. In fact, you can make your initial purchase of worms at a bait shop, or order them on-line. I bought a home from them that works by staging one plastic bin on top of another. As one bin fills with castings, you add an empty bin and the worms pick up and move. But you can also make your own worm bin with a large plastic container. Be sure to drill some air holes, and a place for liquid to drain out is a nice feature. A book called "Worms Eat My Garbage," by Mary Appelhof, will tell you everything you need to know about keeping worms for composting. Or you can consult some of the on-line resources listed on the lower right-hand side of this page. It's one small way to help save the planet and grow food as well. The food of Mexico never ceases to amaze, or perhaps it's the way the Mexican people have constructed a cuisine that seems to make a great deal out of very little. Americans raised on big, fat burritos, heaping platters of fajitas and giant pitchers of frozen margaritas would be shocked to learn that the real deal is nothing like that. The pre-Columbian food of Mexico did not know dairy products or pork or beef. An entire culinary tradition was erected around corn, chili peppers, tomatoes, avocados. To this day, an urbane family meal in Mexico City may consist of something as simple as a bowl of chicken soup and fresh tortillas folded around a bit of cheese. One of our favorite dishes is this astonishing concoction made from toasted pumpkin seeds, cooked tomatoes and habanero pepper. The recipe apparently originates in the Yucatan, a culinary province all its own. I originally stumbled upon it while writing an article about my molcajete, the Mexican version of a mortar carved out of volcanic basalt stone. I remember being completely incredulous that such common and utterly simple ingredients could yield much of anything. Pumpkin seeds, after all, are so dry and lifeless, something you chew on when you have nothing better to do, right? And how much lift could one expect out of a couple of tomatoes? But that is the genius of this marriage, because the individual ingredients once pounded and carefully massaged together transform one another. The finished product is not much to look at--it has all the glamor of the proverbial lump of clay. But in the mouth, it is sublime. It is unctuous and meaty, the habanero imparting a bit of fruitiness along with its heat. To taste it is to know that there are food cultures out there still wrapped in mystery, a vein of food knowledge we moderns can barely fathom. Of course, this "dip," as I call it, is best made in a molcajete. I'm confident that a traditional mortar and pestle would work as well. You could also try a food processor, although honestly I never have. Part of the joy of this dish is the hand work, the time spent bending over the molcajete pulverizing the toasted pumpking seeds, then incorporating all the bits of the cooked tomatoes and chili. It is a meditative act, a labor of love. The habanero is one of the hottest of all chili peppers. The recipe calls for a single pepper, but if you are sensitive to the heat, you might cut the pepper in half. Wear rubber gloves while working with the peppers and take care to remove all the seeds and interior veins, where much of the heat is concenrated. Be sure to use the hulled variety of pumpkin seeds. We buy them in the bulk section at Whole Foods. We like to serve this with jicama, cut into large matchsticks for dipping, to lend a contrasting coolness and snap. And of a course a cold beer. 1 large jicama, peeled and cut into thick, 4-inch matchsticks for dipping. In an ungreased sauté pan over moderately high heat, toast the pumpkin seeds, tossing frequently, until they are lightly browned. Spread pumpkin seeds on a baking sheet to cool. Meanwhile, bring 1 quart water to a boil. Place tomatoes in water, reduce heat and simmer until tomatoes are very soft, about 13 minutes. Drain and set tomatoes aside to cool. Remove skins. In a small skillet or pan over moderately high heat, toast habanero chile, turning frequently, until it is soft and lightly charred, about 5 minutes. Set aside to cool. Cut chile open and remove seeds and veins (unless you like things really hot). Place all but one tablespoon toasted pumpkin seeds with salt in molcajete and grind to a rough powder. Add toasted habanero and grind until pepper is completely incorporated. Add tomatoes and grind until they are completely incorporated with the seed mixture. Use a spoon or rubber spatula to blend in 2 tablespoons cilantro and the chives. Garnish with remaining cilantro and toasted pumpkin seeds. Arrange jicama matchsticks so they are standing upright in a bowl or drinking glass to serve. Oh, I do wish we were allowed to keep chickens here in the District of Columbia. I can't think of anything that would bring the nation's capitol more down to earth. Plus, we'd have the benefit of some of the most nutritious protein on the planet. Sadly, chickens are not allowed in this city. But they are in others. You can raise chickens in Brooklyn, for instance, and on Staten Island. There's even a website called Backyard Chickens.com that will tell you everything you need to know about how to start your own flock. Now comes a proposed ordinance in Missoula, Montana, that would permit raising chickens there and it has folks all stirred up on both sides. Here's a short film documenting the controversy. The French have their pain perdu, stale bread turned into something fabulous for breakfast. In Mexico, the same concept is applied to leftover tortillas. Fry the tortillas, toss them with a smokey red sauce, dress with fresh cheese and sour cream and you have a delicious muddle called chilaquiles. A few years ago a Mexico vacation turned into a quest for the perfect chilaquiles. This was something we could easily eat every day--and we did. The best versions are usually found at the simple food stalls or fondas in the local market. But chilaquiles are so beloved by Mexicans, they are also prominently displayed on the weekend brunch buffets at the big resort hotels. This is the third year we've invited friends for our own version of a chilaquiles smackdown. It looks to be an annual event, our chilaquiles brunch, and it just gets bigger every year. Our friends Keith and Janice co-host, which means Keith makes a batch of green tomatillo-based sauce for the chilaquiles as well as a huge fruit display groaning with papaya, pineapple, bananas. My wife assembled a salad of watercress, jicama and blood oranges, and a bar featuring her home-brewed agua fresca from hibiscus blossoms. The day before the event we were busy frying more than 100 tortillas. I made the red sauce--a bit hotter than usual with smoked chipotle chilies--as well as a toasted pumpkin seed dip that was almost over-the-top piquante with habanero peppers. Janice brought her famous guacamole. We had chips. We had taquilla. We had beer. There was, in other words, no excuse for not having a blast in the Mexican manner. Eggs are traditional with chilaquiles. Fried, scrambled, poached--any which way will do. 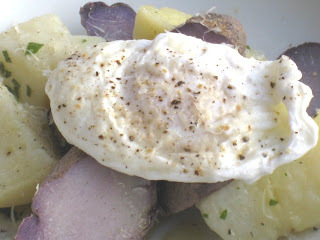 We had served egges poached a la minute in the past. But for 40 people? There was no question the eggs had to be done ahead. You may be surprised to learn that poached eggs can be made ahead. We make them freehand in a big pot of simmering water, lowering the finished eggs into an ice bath. They will hold at least a day or two in the fridge. So there we were with three dozen poached eggs floating around in two food service aluminums filled with water. It occured to me shortly before the guests arrived that while poaching the eggs and dropping them into the water was no great challenge, warming them up again and getting them out of the water might be. Someone had the idea of transfering the eggs to a more decorative pot. But after draining the eggs, it quickly became apparent that they did not want to move at all without breaking. They just mounded up into an incredibly tenuous pile in the aluminum. I refilled the containers with hot water, thinking this would at least warm the eggs a bit. Serving them would just have to be less than glamorous. But the eggs barely reached a tepid state before a crowd began to form in front of the buffet. My wife had the good sense to make a platter of scrambled eggs as well. Oh well, call it a learning experience. Next time we'll remember to give the eggs enough time out of the fridge to come up to room temperature, and maybe heat them in the oven. If you have any thoughts at all about making chilaquiles yourself, be sure to fry your own tortillas. This is not something you want to make with chips out of a bag. I calculate three traditional corn tortillas per person. They can be cut into square pieces (imagine a tortilla cut twice on each axis, checkerboard style) or into strips. Leave them out on a baking sheet overnight to dry, or put them in a 200-degree oven for an hour. The tortilla pieces can be fried in oil--about 1/2-inch deep--in a skillet, or in a deep fryer, which is what we did. In a saucepan over medium-low heat, sweat the onion and garlic in 1 tablespoon lard until onion is soft, about 10 minutes. Add remaining ingredients except salt and bring almost to a boil. Reduce heat, cover, and simmer gently 1 hour. Remove from heat. Remove bay leaf. Process sauce in a blender until smooth. Over moderately high heat, heat 2 tablespoons lard or vegetable oil in a heavy skillet. Pour in sauce. Cook vigorously until thick, about 5 minutes. Season with salt as needed. Remove from heat and reserve. Mexico has a tradition of finishing sauces by frying them in oil. You might wonder why, but this does bind the sauce nicely and results in a more rustic texture and flavor. To serve the chilaquiles, have the sauce nearby. Ladle a cup or two into a hot skillet, then add just enough fried tortillas so that they are all coated in the sauce. Stir and cook just a minute: the chips will begin to soften. Turn them out into a serving bowl, throw in a handful of grated queso fresco and dress with crema. Some cilantro leaves make the best garnish. Some people like chorizo sausage with their chilaquiles. But really, what this meal is all about is the wonderful muddle of chips, sauce, cheese and cream. This is peasant food elevated to the sublime. Note: Queso fresco--or fresh cheese--and crema--a runny style of sour cream--are readily available at Latin markets. Ethanol is such a bad idea, even the mainstream media is beginning to get a clue. Two new studies find that when the total process of growing and producing biolfuels is taken into account, they cause more greenhouse gas emissions than the conventional gasoline they are meant to replace. The studies, published in the journal Science, examine in detail the effects of converting large amounts of land to biofuel devlopment around the globe. The destruction of natural ecosystems such as rain forest or grasslands not only releases greenhouse gasses but eliminates the flora that would normally soak up carbon emissions. Biofuel production results in new lands being cleared, either for food or fuel. Meanwhile, there's that pesky "dead zone" that raises its head in the Gulf of Mexico each summer after Midwestern farmers fertilize their cornfields, now more than ever destined for ethanol production. The man largely responsible for industrial agriculture in the U.S., former Secretary of Agriculture Earl Butz, died this week. Butz was instrumental in reversing the longstanding policy of paying farmers not to overproduce. "Plant fence post to fence post" was Butz's creed. He engineered new federal incentives to create giant surpluses, which fit nicely into the industrial food scheme that has left Americans fat and sick on cheap food. It's been 45 years since Butz implimented his scheme for feeding the world on cheap corn. It may take another generation or two to undue the health and environmental disaster he created. Here's a fine retrospective on the Butz legacy from Grist's Tom Philpott. While the U.S. is awash in corn, Haitians are making mud pies to stave off hunger. We've written before about how the rush to biofuels has led to spikes in food prices worldwide. Corn, wheat, soybeans--everything is more expensive. In the Caribbean, prices in some places are up 40 percent. In Haiti, the poorest of the poor cannot even afford a plate of rice. They are resorting to making cookies and pies out of dirt and shortening. Global price hikes, together with floods and crop damage from the 2007 hurricane season, prompted the U.N. Food and Agriculture Agency to declare states of emergency in Haiti and several other Caribbean countries. At one slum market, two cups of rice now sell for 60 cents, up 10 cents from December and 50 percent from a year ago, the Associated Press reported. Beans, condensed milk and fruit have gone up at a similar rate, and even the price of the edible clay has risen over the past year by almost $1.50. Dirt to make 100 cookies now costs $5, the cookie makers say. 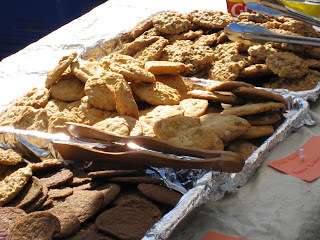 Still, at about 5 cents apiece, the cookies are a bargain compared to food staples. About 80 percent of people in Haiti live on less than $2 a day. The Vietnamese, meanwhile, are experiencing a diet change of a different kind. 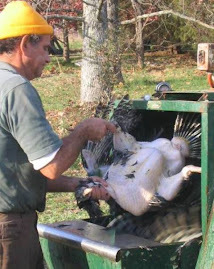 Outbreaks of avian flu have resulted in the destruction of much of the country's poultry. Diners have taken to eating more snakes and cats. That, in turn, has resulted in an explosion in the Vietnamese rat population. Rat has suddenly become a meal of choice. Rat has always been considered a tasty dish in the countryside. But now it's catching on in urban areas as well. Handwritten signs in some of the backstreets of Hanoi offer cash in return for freshly caught rat, reports the Wall Street Journal. "Both Vietnamese and foreign tourists are eating more rat meat these days," says Pham Huu Thanh, proprietor of the Luong Son Quan restaurant in Ho Chi Minh City, the former southern capital Saigon. Mr. Thanh serves rat grilled with lemon grass or roasted in garlic for around 60,000 Vietnamese dong, or $4, a serving. Vendors sell rat meat for about $1.50 a pound. It's a relative deal. Pork costs roughly a third more, and chicken twice as much. While the rats are thriving, the salmon are crashing in California. The number of endangered coho salmon returning to spawn in California's Marin County has plummeted and scientists aren't sure why. The watershed around Marin is home to one of the state's largest remaining populations of wild coho salmon. Coho have become extinct in 90 percent of California streams that once supported the species. Possible causes include shifts in ocean conditions brought about by climate change. Meanwhile, the coho in Oregon have been re-listed as an endangered species. The National Aeronautics and Space Administratin Fisheries Service gave the coho the endangered designation as the result of a court finding that failure to protect the fish violated the Endangered Species Act. Oregon's wild coho have been the subject of a long and tangled court battle pitting environmental and economic interests. And in case you were wondering, the Monterey Bay Aquarium "Seafoood Watch" program lists wild-caught, West Coast salmon as a "good" alternative to farmed salmon, "but there are concerns about the long-term health of their populations." Finally, we are all about urban food gardening here at The Slow Cook. So we took special interest in an architectural design prize awarded to a couple who proposed filling the courtyard at the P.S. 1 Contemporary Art Center in Long Island City, Queens, with cabbages and other vegetables for a summer. And when the project comes down, you can make ratatouille. It's been nearly a year since we spent a weekend at our farmer friend Brett's place killing pigs and making sausages. When I went digging for something to make for this week's Dark Days meal, I found two packages of Hungarian sausages at the bottom of the freezer, transporting me back to our pork "matanza." I like the idea of suspending grocery purchases and living off what's in the pantry--or what's in the freezer, as the case may be. Riana, at the Garlic Breath blog, has been doing just that with great success for the last several weeks. In fact, Riana is on day 40 with no end in sight. At this point, she says, "the freezer is getting bearable but not bare. At least I can see the sides and figure out what is in there." I think we Americans have a kind of unnatural fetish when it comes to needing something different, fabulous, thrilling to eat every night. Meanwhile, food piles up uneaten. Will we ever consume those Vietnamese rice noodles in the back pantry? Or that frozen pork tenderloin I don't even remember where it came from? How about that 29-ounce can of Manning's hominy taking up space next to the Middle Eastern fava beans? In fact, we've been pretty good the last couple of months about not blowing our budget at the grocery store. Doesn't that make the occasional "special" meal all the more "special?" I thawed the Hungarian sausages and browned them in the cast iron skillet. There was a red cabbage from the farmers market sitting in the cold room, waiting for just such an occasion. And this week's CSA box arrived heavy with Beauregard sweet potatoes and turnips. Since the produce box also comes from Brett's farm, it created a nice bit of circularity with the year-old sausages. As the cabbage braised, I dropped the browned sausages into the pot to cook through. I steamed the sweet potatoes in a saucepan, then seasoned them very simply with salt, allspice, nutmeg, cloves and mashed them with a pat of butter and a bit of cream. Nothing fancy. Just good food. Crack open your best bottle of mustard and pour a nice glass of wine. And look forward to lots of leftovers.